The woman in question developed “life destroying” side effects after undergoing treatment to deal with her infection. 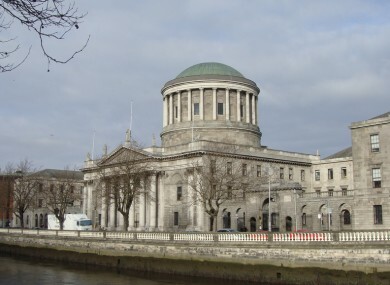 THE HIGH COURT has increased by €70,000 a compensation award made to a woman who was infected with hepatitis C through the blood product Anti-D.
Mr Justice Bernard Barton increased the initial award of €180,000 made by The Hepatitis C Compensation Tribunal to €250,000. The woman in question had developed “life destroying” side effects, including cirrhosis of her liver and a brain injury, after undergoing treatment two years ago to deal with her infection. The woman, who cannot be identified by order of the court, was in 1977 given an anti-D injection which came from a batch infected with hepatitis C.
She had previously been given an interim award of £283,000 in 1998 by the Tribunal. Arising out of her complications she returned to the Tribunal and earlier this year was awarded an additional €180,000. She was dissatisfied with the award made to her by the Tribunal, which she appealed to the High Court. She claimed the award was insufficient and inadequate. She also argued the Tribunal failed, when making the award, to have regard to another case where a woman infected with hepatitis C (who also developed cirrhosis, a condition that damages liver function) was awarded €250,000. The Minister for Health, who opposed the woman’s appeal, argued the case was different to the one where a higher award was made. It was also argued the treatment afforded to the woman could not be compensated for because it began before she was diagnosed with what is known as decompensated cirrhosis. Those with decompensated cirrhosis can develop life threatening complications due to the level of damage the liver has sustained. The court heard in 2013 that the woman decided, following medical advice, to undergo a treatment known as interferon/ribavirin therapy to deal with the virus. She underwent the treatment after tests revealed a serious deterioration in the condition of her liver, which was suggestive of possible cirrhosis. While the treatment cleared the virus it also triggered decompensated cirrhosis. She also developed a side effect known as encephalopathy. This resulted in psychological and physical effects including slurred speech, and forgetfulness. The condition is irreversible and requires on-going medical treatment. Giving the Court’s decision Mr Justice Barton said the court had the jurisdiction to compensate the woman for the pain and suffering arising out of the treatment she underwent in 2013. That treatment he said amounted to “a medical necessity”, even though it commenced before there was a diagnosis of cirrhosis. In his ruling the Judge said “the mental anguish” the woman has suffered was “abundantly clear” from the evidence. The Judge said notwithstanding having hepatitis C she had lived as full and independent a life as possible. Her encephalopathy had “effectively destroyed” that life, he said. Since developing the condition she could no longer go shopping, had a tendency to trip, socialised less, and needed her husband’s arm for support when they were out together. She said she had “lost a whole sense of herself” the Judge said. The Judge said it was rather sad that the woman did not think there was much to her life any more. The Judge said despite all this she had said it was important to her to keep up her appearance so as “not to frighten her grandchildren” who are “an important part of her life”. Given the circumstances she was entitled to be compensated in the fair and reasonable sum of €250,000 the Judge said. Email “High Court increases compensation to Hepatitis C victim by €70,000”. Feedback on “High Court increases compensation to Hepatitis C victim by €70,000”.